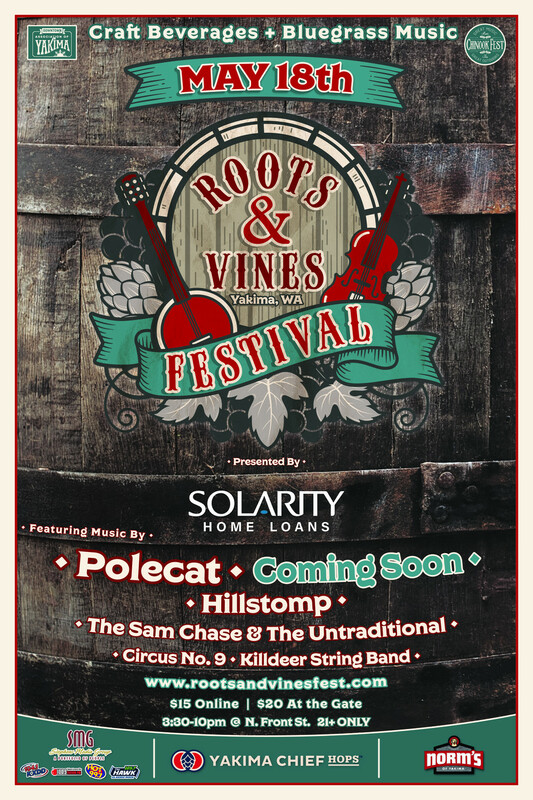 Join us for the fifth annual Roots & Vines Festival! This unofficial kick-off to summer is a one day celebration of craft beverages produced in the Yakima Valley, and features nationally touring Bluegrass bands. Come down to historic North Front Street to dance in the street while enjoying your favorite local craft beverages and food from your favorite local eateries. This ticket level gains you access to the festival PLUS a commemorative cup for craft beverage tasting. Chairs will be limited to a designated chair area. Once the chair area is full, no more chairs will be permitted into the event. First come first served!